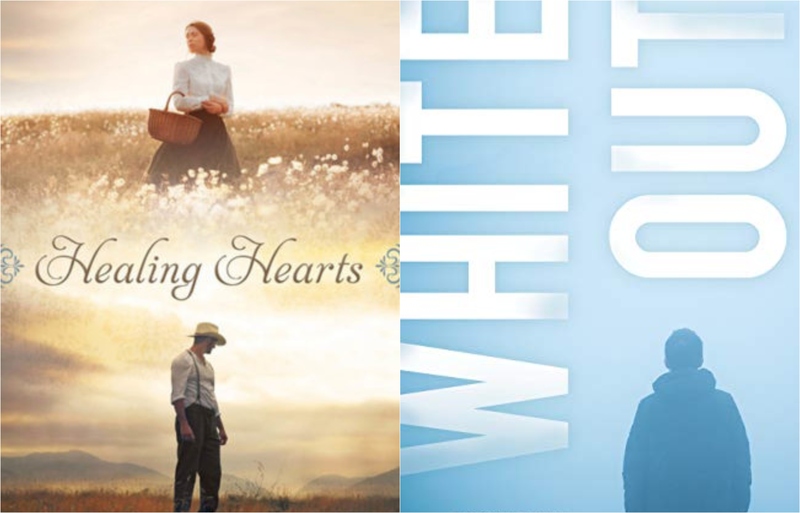 Healing Hearts by Sarah M. Eden and White Out by Brett Cain are outstanding novels that will touch hearts and invite introspection. They focus on different time periods. Eden’s novel is told from a woman’s point of view and is classified as an Historical, while Cain’s a man’s point of view and is Contemporary Mystery/Suspense. Readers who enjoy either genre and those who simply want to read a good story in any genre will love both of these. Sarah M. Eden has written a long list of popular books, but Healing Hearts may be her best one so far. Once again she takes the reader back to 1876 in Savage Wells, Wyoming Territory. Miriam Bricks is a runaway escapee from a mental institution run by Dr. Blackburn, who abuses patients and double bills for their care. Miriam is a qualified nurse who proved an embarrassment to her socially elite parents because of her occasional epileptic seizures so her father had her committed to Dr. Blackburn’s institution where he not only got paid for her care, but forced her to work as a nurse without pay. Finding an advertisement by an agency in behalf of Dr. Gideon MacNamara for a nurse to assist him in remote Savage Wells, she applies, is accepted, and boards a coach for the distant village. Gideon MacNamara is a busy doctor, not only caring for patients in Savage Wells, but in several other small towns several days ride away. He needs a qualified nurse who can assist him and be available in Savage Wells when he tends to patients in the other frontier towns. Actually he needs more than a nurse; he needs a wife he can relax with and share his life. The perfect solution seems to be to find a woman who can be both. He contacts an agency that arranges for mail order brides. Imagine Miriam’s shock when the whole town shows up to meet her coach. She expects a job. Gideon expects a bride. And the whole town expects a wedding. The agency has made some kind of mix-up. When she refuses to marry Gideon, he makes the best of the situation by hiring her to work for him. The town isn’t so forgiving. Miriam and Gideon’s feelings for each other grow as they struggle through biases, her seizures, the arrival of parents, an epidemic, and her discovery by Dr. Blackburn who is determined to return her to his asylum. The sheriff, the marshal, various townspeople, and family members become involved in their struggle to balance the law and justice. Eden has created complex, realistic characters for this story and given them dialog, actions, questions, and thoughts in keeping with their time. Through Miriam she questions a society where women have few rights and are at the mercy of husbands or fathers. She also exposes some of the misconceptions about mental illness and the disorders that were once classified as symptoms of insanity. Not only Miriam, but other characters in the story have problems that at one time could have easily resulted in institutional care and that care may have been barbaric according to today’s standards. All of the characters are multidimensional individuals who add to the quality of the tale. Though the setting for Healing Hearts is the same as for Eden’s previous book The Sheriffs of Savage Wells she gives enough descriptive info that it is not necessary to have read the previous book. It was fun to revisit the general store, hotel, cafe, etc. of that frontier Western town and to meet again the sheriff and marshal who were featured in the earlier book. Again this background information is given just enough to provide necessary details needed for this story. The plot builds along predictable lines, yet is filled with surprises, a bit of humor, great dialog, and solid facts. It will appeal to a broad spectrum of readers including Historical, Western, Romance, Women’s, and those who simply enjoy a good story in any genre. 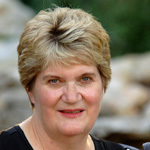 Sarah M. Eden has received numerous well-deserved writing awards for her books. She writes primarily Historical and Romance genres and is known for her thorough research and witty dialog. She and her family live in northern Utah. HEALING HEARTS by Sarah M. Eden, Published by Shadow Mountain, 336 pages, soft cover $15.99. Also available for eReaders. Brett Cain, a newcomer to the world of Mystery/Suspense writing, is the author of White Out, an exciting new 2019 release. Written in first person, Sawyer is a recently returned missionary for the Church of Jesus Christ of Latter-day Saints. His parents are deceased and his siblings live far away. He learns an old man he used to home teach passed away while Sawyer was in Peru. With no family, the old man left his classy red 1968 Buick Skylark to Sawyer. With no pressing demands on his time, Sawyer decides to take the car for a drive to see the country. He leaves Washington, heading east into Montana where he gets caught in a serious snow storm. As he attempts to negotiate a slick winding mountain road another car side swipes his and spins off the road. Sawyer goes to check on the other driver and finds him slightly concussed and his nose bleeding. He takes the man back to his own car to keep warm and lends him his heavy coat before returning to see if there’s a phone he can use to call for help. He finds a massive amount of blood on the passenger seat. Not far from the car he discovers a dead man who didn’t die from the minor accident, but from bullet wounds. As he bends over the body he is struck from behind and falls into unconsciousness. When he comes to a police officer is looming over him and he is placed under arrest. He also discovers both his car and the man he helped are gone. He is taken to a nearby small town where the police chief releases him, but he has no car, no luggage, and the mountain valley is blocked in with avalanches closing the highway both in and out. Whether it’s a good thing or a bad one, the person responsible for the dead man and for knocking him out is also snowed in. It doesn’t take long for him to learn the killing may be related to a twenty-five year old cold case and the small police force may be linked in more than one way to both murders. Sawyer is a likable character whom the reader gets to know both from what he does and says, but also from his inner dialog and asides. He is patterned somewhat after the author himself, including his skill in the martial arts and wrestling. Other characters are interesting, but perhaps not quite as realistic. A Montana winter is portrayed convincingly. The plot is convoluted and holds some surprises mystery fans will enjoy. There’s a slight romance which adds a surprise of its own. A short, but definitely satisfying read. Brett Cain was born in Illinois and moved to Washington when he was thirteen. He won a silver medal for boxing and competed in mixed martial arts. He served a mission in Peru, attended Southern Virginia University and a summer session at Brigham Young University. He is married, back in Washington State, and a father of one daughter. Along with his writing career he is preparing to become a police officer. WHITE OUT by Brett Cain, Published by Covenant Communications, 179 pages, soft cover$14.99. Also available on aaudio CD and for eReaders.